We are Leonard Cheshire - supporting individuals to live, learn and work as independently as they choose, whatever their ability. Led by people with experience of disability, we are at the heart of local life — opening doors to opportunity, choice and support in communities around the globe. The right to independence and choice. Wherever you are in the world. Shouldn’t everyone have freedom to choose no matter who they are – or where they live? We think so. 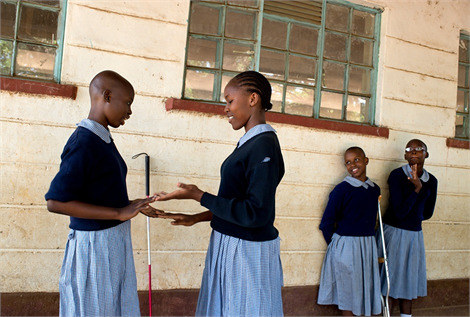 With our partners in Africa and Asia, we deliver inclusive education and employment programmes that support people with disabilities in 15 countries around the world. We also develop research and evidence about what works so that laws and policies are developed and implemented with the needs and rights of people with disabilities at their core. We work with the UN, national governments, disability organisations and development agencies to make sure everyone has the opportunity to live as they choose. By 2020 our ambition is to double our impact, enriching the lives and promoting independence for more than 100,000 persons with disabilities across Africa and Asia. Our 6,000 staff and 6,500 volunteers support more than 30,000 individuals in the UK and 15 countries in Africa and Asia. We have supported over 23,000 children with disabilities to go to school through our inclusive education projects in Africa and Asia. We have supported over 26,000 people with disabilities into paid or self-employment in Africa and Asia, and provided skills training for over 67,000. We are a UK-based global organisation with five regional offices in South Asia, East Asia and the Pacific, East and North Africa and Southern Africa. 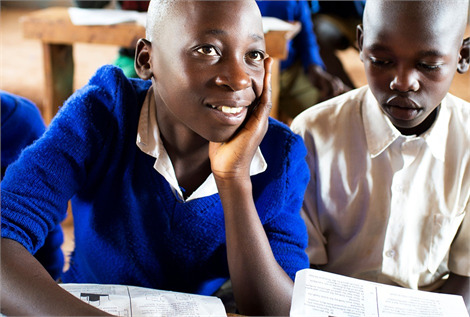 We also support over 200 independently managed Cheshire partner organisations in 54 countries in Africa, Asia, the Americas and Europe through the Leonard Cheshire Disability Global Alliance.